The impact of making fake news a crime is that it might unnecessarily affect freedom of expression, says Michalsons. South Africa's Cyber Crimes Bill no longer criminalises the peddling of fake news as the previous version of the draft law stipulated. According to law firm Michalsons, the latest draft of the Cyber Crimes Bill, previously known as the Cyber Crimes and Cyber Security Bill, is better but still concerning for a few reasons. This after the Department of Justice and Constitutional Development tabled a new version of the Bill in the Portfolio Committee on Justice and Correctional Services last month. "This draft is marked as 'final' which suggests we are nearing the end of the legislative cycle and this Bill will probably be passed by Parliament in a form close to this draft," says Michalsons. Before the Bill was revised, it faced severe criticisms with organisations like Right2Know (R2K) arguing it was a threat to Internet freedom. R2K noted chapter three of the Bill laid the groundwork for heavy-handed state policing of social media users, as various kinds of 'harmful messages' will now be a new form of crime. The Bill made it a crime to post 'inherently false' information on social media. Section 17(2)(d) of the Bill criminalised "fake news", defined as the sending or resending of any message that is "inherently false in nature and ... aimed at causing mental, psychological, physical or economic harm". Now in the latest version, the section that makes fake news a crime has been removed. 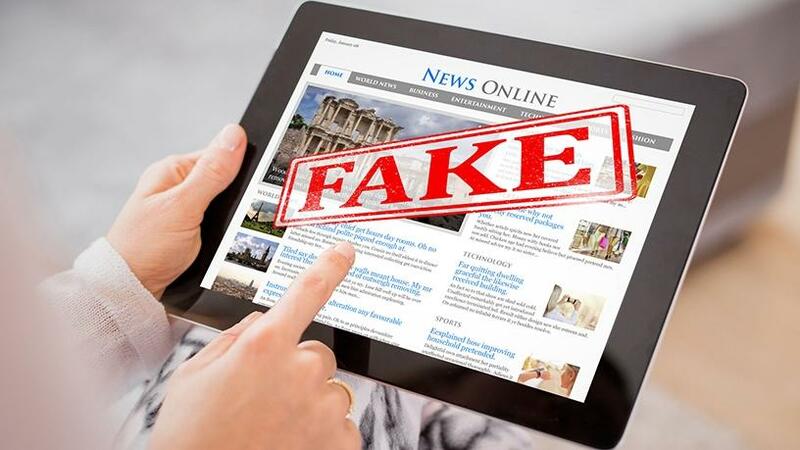 Fake news is a type of yellow journalism or propaganda that consists of deliberate disinformation or hoaxes spread via traditional print and broadcast news media or online social media. Lisa Emma-Iwuoha, lead attorney at Michalsons, comments that the impact of making fake news a crime is that it might unnecessarily affect freedom of expression. "Information spreads very quickly online, including inaccurate information, and anyone who sends, tweets or distributes the fake news will be guilty of an offence. Practically, it is impossible to prosecute such a vast amount of people, especially if the fake news gets a lot of traction," she notes. For Jon Tullett, research manager for IT services, Sub-Saharan Africa at IDC, fake news is legally problematic. "It's very vague and open to interpretation, difficult to prove intent, and could be abusive if used for censorship," he says. "While there are growing concerns about it globally, it's questionable what the impact has been in South Africa, too." Tullett believes there will definitely be legislative responses to fake news in many countries. "It is, after all, hostile propaganda in the worst cases, and that legislative approach is not a bad thing, conceptually similar to libel. "But it does need to be approached with great care, and I think it's positive that the South African legislature is taking a measured approach and responding to public concern by removing it from this Bill." Meanwhile, this week the South African government condemned the posting of fake information attributed to political principals. Acting Government Communication and Information System (GCIS) director-general, Phumla Williams, said these posts are intentionally false, mislead readers and deter the country's efforts to effectively address challenges experienced by South Africans. "In recent posts, online satire is used on issues such as the selling of matric certificates and rhino poaching, among others. Faux news such as these is detrimental to those involved and the rest of consumers. "Government cautions the public to guard against these Web sites and interrogate the content they receive, as it has the potential to create negative and uncalled for effects," the GCIS said. Michalsons notes that "right from the outset, let us make it clear that we believe this Bill is necessary to fight and reduce cyber crime in South Africa". It points out that cyber crime is at alarming levels in SA as many people have been victims. "We urgently need to step up our fight against cyber crime and this Bill will play a significant part in that. We need a law that sets out what the crimes are and then convicts people of these crimes. This will then hopefully lead to a reduction of cyber crime." The law firm notes the Bill is now called the Cyber Crimes Bill and not the Cyber Crimes and Cyber Security Bill to make it clear it is all about cyber crime and not about cyber security. It points out that cyber security will be dealt with under a different law. "We welcome this change and is something we have been asking for. This resolves many issues from the previous Bill," it says. Other key points related to the new Cyber Crimes Bill include: the data crimes remain in the Bill and if you access personal data contrary to the conditions in the Protection of Personal Information Act, you are guilty of an offence. The crimes related to malicious communications are still in the revised version but the sections dealing with intercepting communications and preserving evidence remain. The obligation on various organisations (like electronic communications service providers and financial institutions) to report cyber crime remains. The structures created to deal with cyber crime are simplified, which is welcomed, says Michalsons, adding the sections dealing with critical information infrastructures have been removed.